We continue with the English transcript of the Special Christmas Podcast. The ladies from Argyle Empire kindly joined us with written messages of hope and kindness plus a little of their history. Stay connected with them at their Facebook Page and on Twitter at @Argyle_Empire. The four of us met in 2010 when we each wandered into an online discussion thread about SR’s writing. As the months went by, we spent countless hours analyzing, speculating about and falling hard for The Professor and his Beloved. Being avid fans, it was great fun to interact with such a talented (somewhat shy) author and to share the reading experience with others. As an unexpected bonus, we found that our intimate group formed strong and lasting bonds of friendship. We were fortunate enough to be around when SR first published “Gabriel’s Inferno” and have always been dedicated and enthusiastic to spread the word about one of our favorite stories. In 2012, we approached SR about forming a dedicated fan site and were thrilled to receive the author’s official blessing. The heart of it, for us at Argyle Empire, has always been introducing readers to SR’s books and cultivating friendships and professional relationships from that starting point. It’s been a real pleasure seeing SR’s writing get the recognition it deserves, and we’re proud to have contributed to that. Happy, happy holidays to you! You’re a wonderful group of readers who are incredibly supportive of SR and his writing. We’re so thrilled to have you on our team! I hope you have a Christmas filled with joy, peace, love and redemption. As SR reminds us in his books, these are some of the lifelong themes that make us human. May you find love and happiness in every moment of this holiday season. Thank you all again for everything you do to spread the word about SR and his work. You’re an amazing group of people! Thank you for your never-ending support to him and his writing. We are incredibly grateful for each one of you from all over the world who reads his books, reaches out to him, and shares your stories with him. I also would like to take the opportunity to wish all of you a blessed and safe holiday. I hope that we all can cherish each other and appreciate our differences. 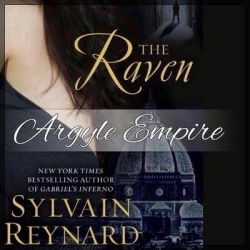 Finding such a talented author as Sylvain Reynard has proven to be a lasting gift. Not only have I been able to enjoy SR’s amazing books, I have made many wonderful friends from near and far as a result of our mutual love for a story well told. Together, we’ve shared many wonderful moments swooning over Professor Emerson and William York. Speaking with fellow SR Fans always brings a smile to my face and joy into my day. I eagerly look forward to the upcoming release and celebration of The Shadow and wish all of you the happiest of holidays. Welcome! It is great to watch the SR Family grow and to be able to share his writing and our love for it with others. This time of year it is a pleasure to share in some of his themes of the transformative power of Love and the redemption that can come from it.